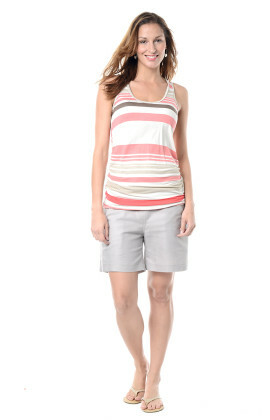 As a basic top, this can be worn with any bottom and also works well as a layering item under a cardi or a jacket. Try creating a flattering slim-line maxi dress look by pairing it with a matching maxi skirt. Add sneakers and a cardi for sporty style or simple jewellery and gorgeous flat sandals for a more dressed look. ...or wear it with leggings for yoga!